This statistic illustrates the findings of a survey on tablet use to go online in the United Kingdom (UK) between 2012 and 2017, broken down by socio-economic group. Over the period in question, use of tablet devices to access the internet had increased in each socio-economic group. During the survey wave in 2016, it was found that 63 percent of individuals from the AB socio-economic group reported using such devices to go online. 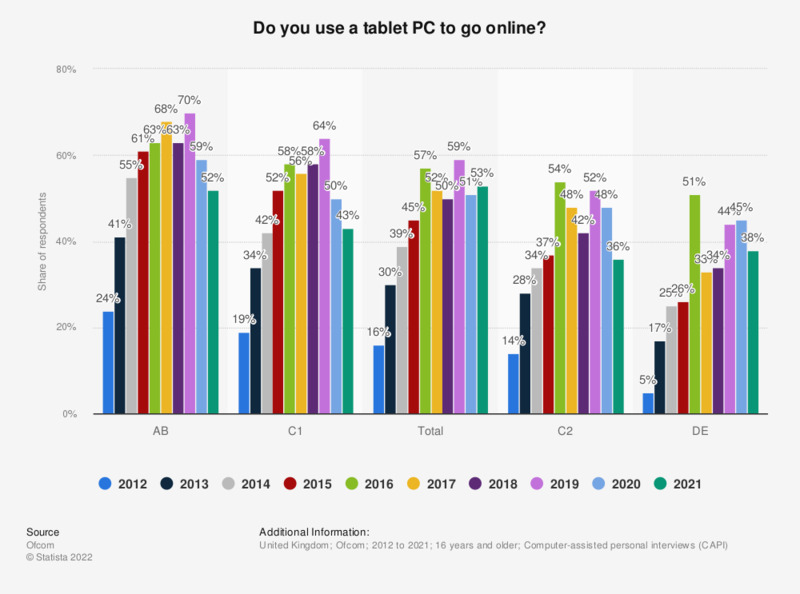 Furthermore, according to the most recent survey carried out in 2017, the share of responding individuals who used tablet PCs to browse the web was 52 percent in all survey groups.